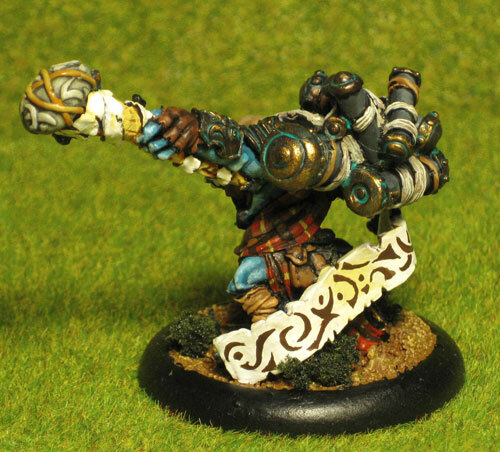 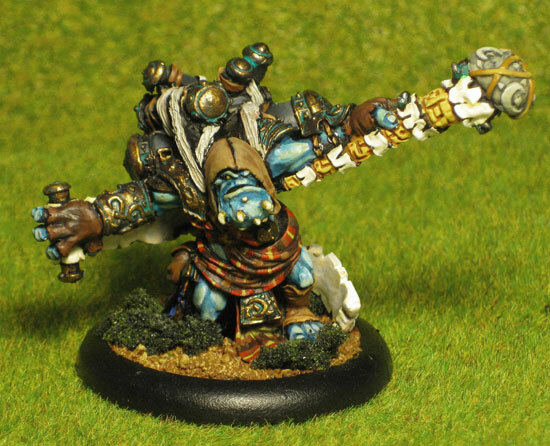 Hoarluk is following the overall Trollkin colourscheme with an exceptionin having royal blue and gold side panels down his side, just to give him a bit of royal feel. 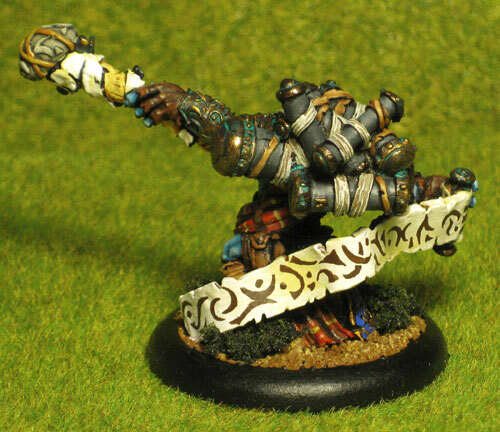 Orignally I wanted to paint the scroll with small lines as on my Menoth Choir to simulate writing. 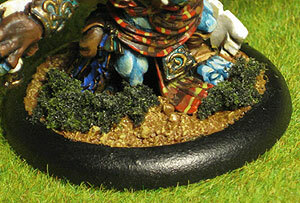 However I realised this doesn’t really reflect the wild nature of the Trollkin. 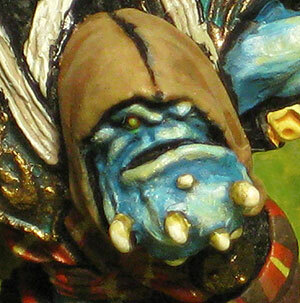 Instead I started over and painted big chunky Trollkin symbols (taken from his armour).